Marvel’s SpiderMan PS4 Suits, Costumes, Powers Unlocks Guide will help you unlock all of the SpiderMan Suits in the game along with what are their unique powers. There are quite a number of suits in Marvel’s SpiderMan PS4 and each having a unique power. This Marvel’s SpiderMan PS4 Suits, Costumes, Powers Unlocks Guide will help you with all of the suits in the game that you can unlock. 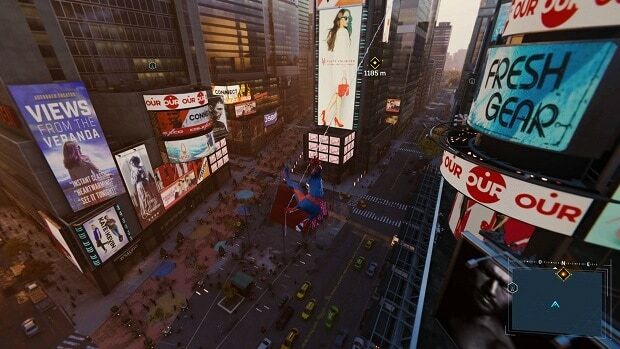 Every Spiderman Suit in the game comes with a unique power which makes them useful in different scenarios. This Marvel’s SpiderMan PS4 Suits, Costumes, Powers Unlocks Guide will help you determine which suit is better for which situation and how to unlock them. 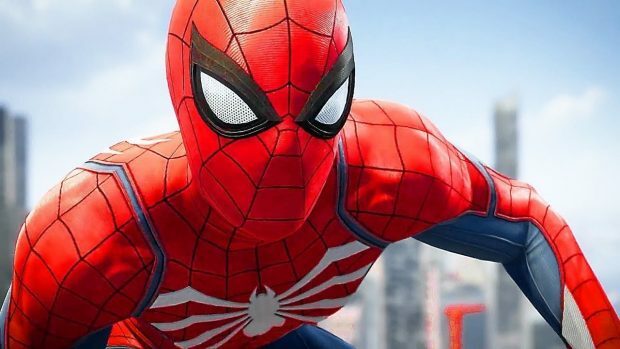 Advanced Suit is the first suit that you will unlock in Marvel’s SpiderMan PS4. However, unlocking it does not require anything for you to do other than progress the story a little bit as this is a story unlock and unlocks early in the game. Battle Focus is the unique power for the Advanced Suit. Battle Focus allows your Focus Meter to fill up automatically to be used to pull off finishing moves. Noir Suit in Marvel’s SpiderMan PS4 is one of the most interesting ones. To unlock this suit you first need to get to Level 3 and require x2 Backpack and x1 Base Token. As for the Suit Power, this suit gives SpiderMan Sound of Silence Suit Power which will help you a lot in Stealth Missions as when this power is active, enemies will not call for backup. To unlock this SpiderMan Suit, first, you need to reach Level 6 and after that, you need to spend x1 Base Token, x1 Landmark Token, and x2 Research Tokens to unlock. 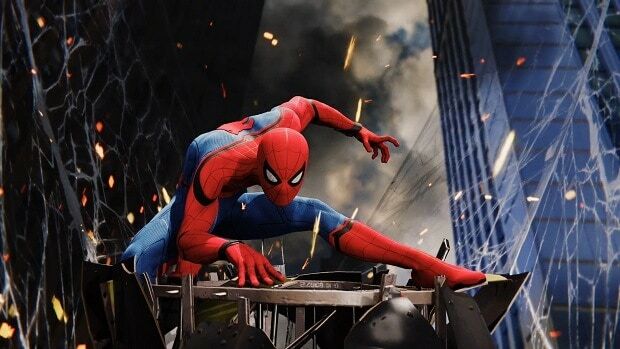 This SpiderMan Suit features Bullet Proof Suit Power which makes SpiderMan bulletproof when active. The Marvel’s SpiderMan PS4 suit with which you will start the game. 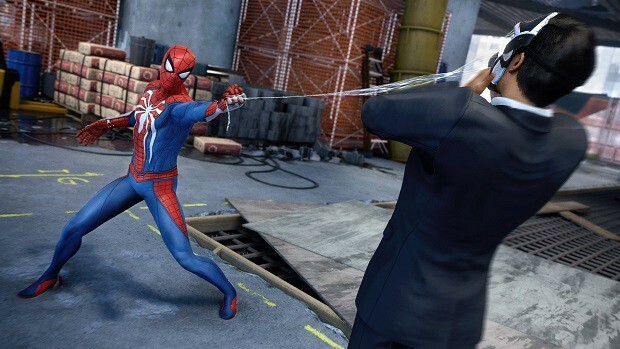 The Classic Suit comes with Web Blossom Suit Power that allows SpiderMan to shoot webs in all four directions, immobilizing a majority of the enemies around him. To unlock this suit players are required to have x2 Backpack Tokens and x2 Crime Tokens. This is the damaged version of Classic Suit. Given that it is a damaged suit, it has no Suit Power. 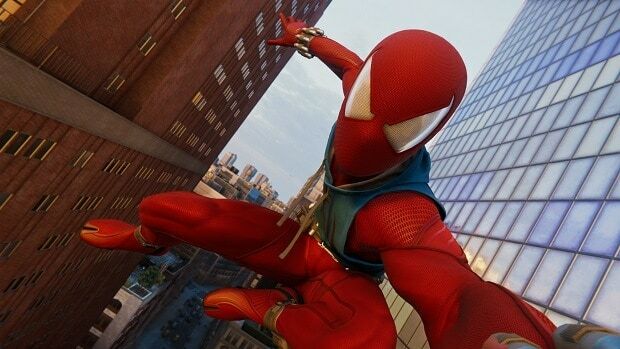 To unlock Scarlet Spider Suit in Marvel’s SpiderMan PS4 you first need to reach Level 5 and it costs x3 Crime Tokens and x2 Landmark Tokens to unlock. This suit comes with Holo Decoy Suit Power. This ability spawn multiple SpiderMan PS4 decoys taking away the attention of enemies from you. First, reach Level 9 and then you need to spend x2 Backpack Tokens, x1 Base Token, and x2 Research Tokens in order to unlock it. This suit comes with Arms Race Suit Power that discharges EMP that stuns enemies around SpiderMan and disable their weapons. Stark Suit is the SpiderMan suit from SpiderMan: Homecoming. To unlock this suit, you first need to reach Level 11 and then spend x1 Base Token, x3 Crime Token, and x1 Research Token. This suit grants SpiderMan the Spider-Bro Suit Power which spawns a drone that attacks the enemies while in combat. You need to hit the Level 13 and then spend x1 Base Token, x2 Landmark Tokens, and x1 Research Token to unlock it. As the name suggests, this suit is styled after Mr. Negative. This suit comes with Negative Shockwave Suit Power that triggers an AoE effect when activated which knocks enemies back. Level 16 is required to unlock it and when you reach Level 16 you need to spend x1 Base Token, x3 Crime Tokens, and x1 Research Token to unlock it. This suit is generally useful against enemies with shock damage. In addition, this suit comes with Electric Punch Suit Power which gives SpiderMan electrified gauntlets that deal shock damage. Level 19 is required for this suit and when you hit the level, you need to spend x2 Backpack Tokens, x3 Crime Tokens, and x2 Landmark Tokens to unlock it. This suit comes with Rock Out Suit Power that allows SpiderMan to pull out a guitar and knock enemies back with noise. This suit requires Level 21 and then spending x2 Backpack Tokens, x2 Base Tokens, and x2 Research Tokens to unlock. This suit comes with King of the Ring Suit Power that allows for you to web throw enemies without even webbing them first. This suit demands SpiderMan hit Level 23 and then spend x2 Base Tokens, x6 Challenge Tokens, and x3 Research Tokens to unlock. This suit comes with Quad Damage effect Suit Power that quadruples the damage that is dealt. Players will unlock this suit at Level 26 and after spending x2 Base Tokens, x4 Challenge Tokens, and x3 Landmark Tokens. The suit comes with Blur Projector suit power that creates a field that will hide you from enemies that are not alerted by your presence. This suit is unlocked at Level 29 and after spending x2 Base Tokens, x4 Challenge Tokens, and x4 Crime Tokens. This suit is very useful against Sabel agents. As for the suit power, this suit comes with Titanium Alloy Plates which deflects bullets back at the shooter except for the sniper rounds. This suit is unlocked at Level 31 and after spending x2 Base Tokens, x4 Crime Tokens, and x4 Research Tokens. This suit comes with Low Gravity Suit power that decreases gravity while in the air. This suit from the movie Avenger: Infinity War and unlock at Level 33 after spending x3 Base Tokens, x3 Challenge Tokens, and x4 Crime Tokens. The suit comes with Iron Arms suit power which grants SpiderMan extra arms like in the movie. With these arms, players can go break shields and attack enemies with brute force. This suit is unlocked at Level 35 and after spending x2 Backpack Tokens, x4 Challenge Tokens, and x2 Landmark Tokens. As for the suit power, this suit comes with the “Blitz” that allows SpiderMan to run faster and build momentum to knock out enemies. To unlock this suit you need to spend x4 Base Tokens, x4 Challenge Tokens, and x3 Landmark Tokens and have to hit Level 37. This suit is unlocked at Level 39 and after spending x6 Base Tokens, x6 Challenge Tokens, and x6 Crime Tokens. This suit comes with “Spirit Fire” power that spawns ethereal flames to damage enemies. You need to spend 4 Base Tokens, x4 Challenge Tokens, and x4 Crime Tokens and need to hit 41 to unlock. This suit comes with Concussion Strike power that adds a concussive blast to every blow. This suit is unlocked by completing every landmark point in the game and spending x4 Backpack Tokens, x4 Challenge Tokens, and x4 Crime Tokens. This suit comes with “Quips” suit power. When activated that suit allows SpiderMan to start joking and make funny comments on enemies which temporarily stuns enemies. This suit unlocks at Level 45 and demands x20 Crime Tokens. Suit Power for this suit is “Unrelenting Fury” and when it is activated; enemies cannot block your attacks even if they have shields. You need to 100 percent all of the districts in the game to unlock it. This comes with “Equalizer” suit power that makes everyone to go down in just one punch even SpiderMan himself. This suit is unlocked by finding all of the backpacks in the game and has no power. This suit is unlocked by finishing the game. “Resupply” is the power it comes with that continuously refills gadgets. This suit is unlocked after you have found and collected all Black Cat Stakeout Collectibles and have tracked her down. You need to complete all of the Photo challenges in the game to unlock it and has no suit power. Aside from Suit powers, each suit can be equipped with 3 modification at any given time. These modifications grant Spiderman abilities that can be very useful in different scenarios. The following are the modifcations that Spiderman will unlock thoughout his journey in the game along with thir costs. Equipping this gadget with your suit will generate Focus. Requires 1 Crime Token. Gel Padding reduces the melee damage Spiderman receives from enemies. Requires 1 Backpack Token and 3 Crime Tokens. This gadget will allow Spiderman to see objects from far away. Requires 1 Landmark Token and 1 Backpack Token. The amount of XP received is increased when Spiderman takes out enemies. Requires 1 Landmark Token and 1 Crime Token. Equipping this gadget will increase Spiderman’s damage after he pulls off a perfect dodge. Requires 1 Landmark Token and 3 Crime Tokens. When in stealth enemies will take more time to detect you. Requires 2 Landmark Tokens and 1 Backpack Token. This gadget decreases the damage Spiderman receives from projectiles. Requires 1 Landmark Tokens and 2 Crime Tokens. Equipping this grants Spiderman with gadget ammo if he pulls off a finisher move. Requires 1 Research Token and 3 Crime Tokens. This allows for fast generation of Focus and requires 3 Crime Tokens ad 1 Challenge Token. This reduces the effect of stun grenades and flashbang for Spiderman. Requires 2 Research Tokens and 4 Crime Tokens. Web attacks will grant more focus and it requires 2 Research Tokens and 3 Crime Tokens. Focus bar health regeneration is increased. Requires 2 Research Tokens and 2 Crime Tokens. Scanned enemies will remain highlighted until Spiderman engages in combat. Requires 3 Research Tokens and 1 Base Token. Spiderman deals more damage if his HP is 100 or above. Requires 2 Research Tokens and 1 Challenge Token. Pulling off a perfect dodge will trigger bullet time. Requires 2 Research Tokens and 1 Base Token. A mesh of electricity will cover Spiderman, stunning any enemy that touches him. Requires 2 Research Tokens and 5 Crime Tokens. Equipping this there is a chance that Spiderman will receive gadget ammo if he takes damage. Requires 3 Research Tokens. This allows Spiderman to continue his combo even he takes hits, however, the number of hits before the combo breaks are limited. Requires 2 Landmark Tokens and 6 Crime Tokens. Decreases damage recieved from rockets. Requires 6 Crime Tokens and 6 Challenge Tokens. When health is critically low, this will automatically regenerate HP with Focus. Requires 3 Research Tokens and 3 Challenge Tokens. Stun time is reduced for electric truncheons and weapons. Requires 2 Base Tokens and 4 Challenge Tokens. Spiderman generates electrical charges in aerial combat and releases it in ground combat. Requires 4 Research Tokens and 6 Crime Tokens. Reveals Photo location on the map. Requires 6 Challenge Tokens and 3 Landmark Tokens. That is all for our Marvel’s SpiderMan PS4 Suits, Costumes, Powers Unlocks Guide with tips on how to unlock SpiderMan Suits and what are their powers.